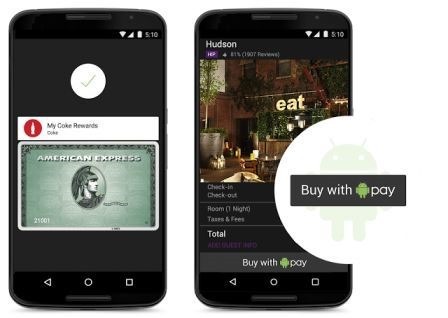 The latest move is Google’s announcement of Android Pay at the Google I/O conference today. This allows customers to pay at retail stores by simply unlocking their phone, without the need to open an app, in a “Tap and go” experience. Loyalty programs and offers can be applied at checkout. Also the contactless terminal receives not just the payment details but also loyalty points and offers. Assuming things go to plan as per announcements, here are my thoughts on where players are positioned. Over 2014 to 2016, the mobile commerce market is set to grow by a factor of five. This is 10 times faster than the E-commerce market. But by 2016, with less than 500 million mobile payments users, and a market worth $600 billion there is ample scope for further growth. PayPal recently announced that while online and mobile shopping accounts for $2.5 trillion in annual retail sales, with the convergence of the online and physical world, a unified world of commerce could be worth $25 trillion, resonating arguments I made in my book “The Digital Money Game”. The current scene of the battle is playing out in the US with heavy-weights placing large bets on paying by mobile phone. Big players currently making investments include Apple, Google, PayPal, Samsung, Facebook, Visa, MasterCard, MCX and others. Also there are several mobile payments providers who have obtained some traction in the market and may now be up for grabs. Some have folded their hands – Softcard (formerly ISIS) was recently acquired by Google, as an important precursor to their current play, as now handsets from AT&T, Verizon and T-Mobile can come pre-loaded with Android Pay. Once an area dominated by mobile operator SIM-SE standards, the dam has burst and we have a number of possible technologies emerging. Samsung’s embedded approach recently announced is similar to eSE introduced by Apple for ApplePay and both work with tokenization services of card schemes. HCE and tokenisation hybrid models first introduced by Google for Android Kitkat (4.4) have since resulted in the launch of a number of pilots around the world. Meanwhile QR Codes have seen good traction, being behind some of the best adopted services, such as the Starbucks Wallet. Now Android Pay says their service is secure as they won’t send your actual credit or debit card number with each payment. Instead a virtual account number represents the account information. Android Device Manager is to allow consumers to instantly lock their device from anywhere, secure it with a new password or even wipe it clean of personal information. Apple Pay is still largely US only, although reports have emerged from Singapore of people successfully using their Apple Watch to make payments there. Android Pay has a huge potential in terms of reach but for now nothing much seems to be clear in terms of when it will launch outside of the US. While Apple benefits from premium user status, in terms of sheer numbers , once the gameplay extends out of the US, Android is better placed in terms of penetration. US is pulling ahead, but China, India will not be far behind as they develop apps to meet the requirements of the US and then seek to bring out cheaper and more appropriate services for Asian and emerging markets. Europe though risks being left behind in all this, pity, with it (arguably) being the birth-place of e-money. Recent reports claim $2 out of every $3 spent using contactless payments across Visa, Mastercard, and American Express were being made with Apple Pay. PayPal now with Paydiant seeks to challenge this thanks to Paydiant’s earlier work with MCX. This month PayPal reports it processes nearly 12.5 million payments for customers every single day. Now Android Pay promises to offer better ease of use than Google Wallet, benefiting from support for fingerprint authentication in Android M. Also with pre-loaded handsets the only challenge that remains is having led the horse to the water, to actually get it to drink: as several steps will still be needed before customers actually make their first mobile payments transaction. Samsung Pay though claims potential acceptance at 30 million merchant locations worldwide, with near universal acceptance thanks to Magnetic Secure Transmission (MST) magstripe emulation platform, LoopPay. Merchants are signing up to many of the new services, whilst also engaged in MCX and so far tending to favour the QR Code approach. Schemes are not taking sides. Visa, MasterCard, American Express and Discover have announced support to Android Pay, as also with other services. In general schemes are keen to support all options, something that brings joy to their investors. Mobile operators are on a back foot, but regrouping – more co-operation, greater focus on transport (such as Mi-FARE) where they still hold an advantage, and a continued emphasis on security – though biometrics, tokenisation and the passage of time will leave this argument somewhat weakened. For now banks can play with the different providers, but where will they invest and how long will it take them? The banks in the US are moving quickly – USAA and US Bank have already declared their support for Android Pay. Citibank had been quick to provide the support needed by Google Wallet. Regarding processors, for Android Pay Google is partnering with Braintree, CyberSource, First Data, Stripe and Vantiv to make integration easier. There is a huge opportunity from tokenisation which is up for grabs and processors need to also back every horse, while continuing to build the required infrastructure. This further confirms the growing fragmentation, with potentially myriad implementations as service providers seek to navigate a murky minefield of patents relating to mobile payments, and still bring out something that helps maintain some control over large, desirable customer segments. What is quite clear though is that massive disruption to existing business models is now well and truly on the cards. Current retail, banking and payment systems must consider their roadmaps as payments becomes invisible, embedded, transparent and often free. The future of payments is in the cloud, but could this result in massive “honey pots”? When will Android Pay, Apple Pay, Samsung Pay and PayPal’s newest services launch across Europe, UK, Canada, Australia, Poland Germany, Singapore and other countries ripe for these services? 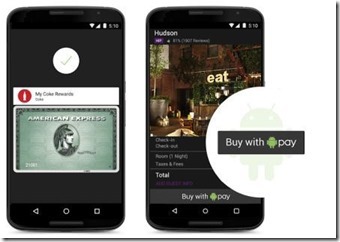 And where does Android Pay leave Google Wallet? A lot of important, yet unanswered questions that will become clearer in the next few months perhaps. June 10 at 13:30 at PayExpo 2015 Mobile Money Europe, London. This entry was posted in Apple, contactless payments, Facebook, Mobile Payments, NFC, QR Code, USA by Charmaine Oak. Bookmark the permalink. Charmaine Oak is the practice lead for Digital Money at Shift Thought. She has over 27 years of experience of creating and delivering solutions to market. Her skills and experience are at the intersection of mobile, banking and payments. She brings a unique perspective, having contributed to significant ventures at leading global companies: Western Union - one of the world’s largest financial brands, France Telecom/Orange – a leading mobile operator, Royal Bank of Scotland – a leading bank, LogicaCMG – the Pioneer in SMS and Wipro – one of the world's largest IT service providers.